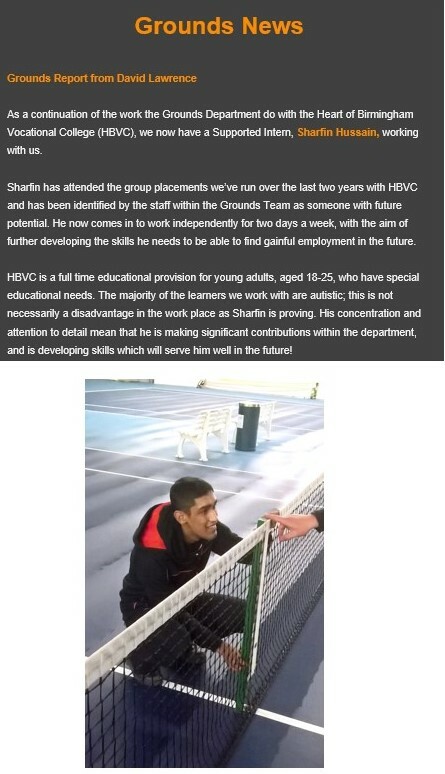 Sharfin worked for two years at the Tennis Club as part of a group placement before being chosen to undertake their first Supported Internship in September 2018 based on his level of interest, hard work and practical skills. 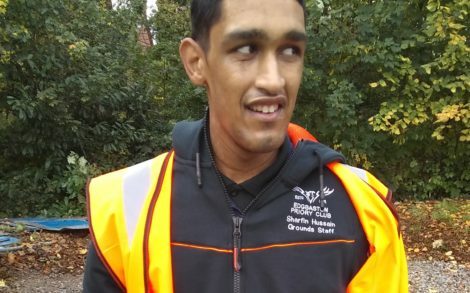 Sharfin has low literacy and numeracy skills but these have been no barrier to him developing and growing in his role as Trainee Groundsperson. 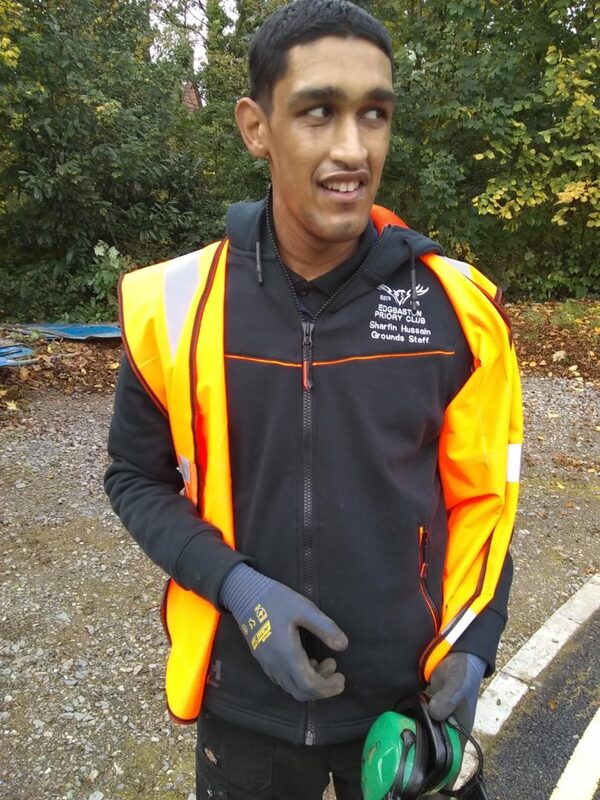 He has also been working hard towards an Open Awards Entry 1 Certificate in Skills for Employment in the Horticulture Sector that has been designed so that he can be assessed practically. In his role he has learnt many new skills: weather-proofing trailers and other expensive equipment, clearing leaves using a leaf blower, planting and cultivating plants and shrubs and maintaining and cleaning indoor tennis courts. His confidence has grown professionally and personally with Sharfin now greeting tennis club members and initiating conversations with his colleagues. He has also been acting as a team leader for other learners with learning disabilities on work placement at the tennis club. He has recently had an article written about him by his manager in the Edgbaston Priory Tennis Club staff newsletter.